22 Days January Yoga Challenge. Our goal is to support you in REGULAR yoga practice. One yoga class leaves you feeling wonderful. With regular yoga practice, wonderful is your new normal. Knowing that yoga is good for us is easy. The hard part is making it happen. Most of us need some support to establish a regular practice. The support of a group or a friend practicing alongside you is a powerful motivating factor. Join our 22 Day Yoga Challenge and meet some new friends or bring your current ones. Get support from each other as well as from our wonderful instructors. Our yoga community is a loving family! We meet each Saturday morning, starting Jan 12. Gathering together for support, inspiration, and practice will propel you into practice at the studio, where we have 25 classes a week for you to choose from. 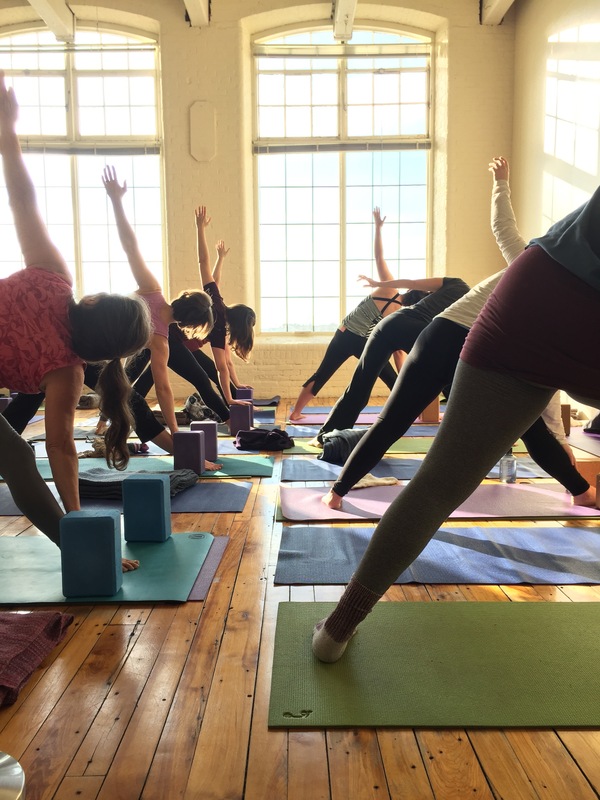 Attend several classes each week with the support of our beautiful space, our caring and skilled teachers, and the powerful friendliness of our yoga tribe. You’ll realize your true self. Vitality. Joy. Peace. Resilience. Perspective. Strength. Flexibility. Calm. This is our new year wish for you. Make a commitment to your wellbeing with the 22 Day Yoga Challenge. SIGN UP! This challenge costs just $65. It includes an unlimited pass to our 25 weekly drop-in classes for 3 weeks, Jan 12-Feb 2. Do a bunch of yoga and feel great! Book classes at the studio with your pass. Delight in surprises and gifts to inspire your practice both at home & studio. Celebration potluck with reflection and practice on Feb 2, 8:30am. We can’t wait to engage with you and your yoga practice in this Challenge.